The "Algarion", "Gentlee-Boy" and "Steemit Defense League" faucet farms have been updated, a total of 197 new accounts have now had their @steem delegation removed by Steemit. The "Algarion" faucet farm (named after its main account) was first added to @spaminator at the end of October 2018. Recently I had noticed that they were active again, after looking I had noticed that they had started farming again about a month ago. There are a total of 470 accounts in this farm, of which 99 new accounts have been added during this update. As you can see, they were posting 10 images a day with a thematic title and no text. They were all being upvoted by 100s of accounts, which all had 25 reputation and zero posts. 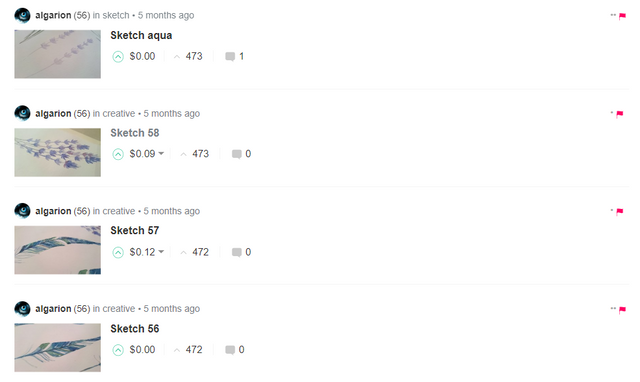 All of these accounts were created using the @steem faucet. This is a classic M.O for this type of abuse. For a more detailed explanation of the "Gentlee-Boy" faucet farm you can read my post from two weeks ago. This week 70 more accounts have now had their delegation removed. The main account @gentlee-boy and other related accounts are in the process of powering down and transferring the funds out via the @blocktrades and @bittrex exchanges. This probably won't be the last we will see of this scammer, but next time it will be under a different identity. The "Steemit Defense League", a notorious horde of 402 troll accounts owned by @camillesteemer has recently become active again. This time by spamming randomised sentences over their many accounts. 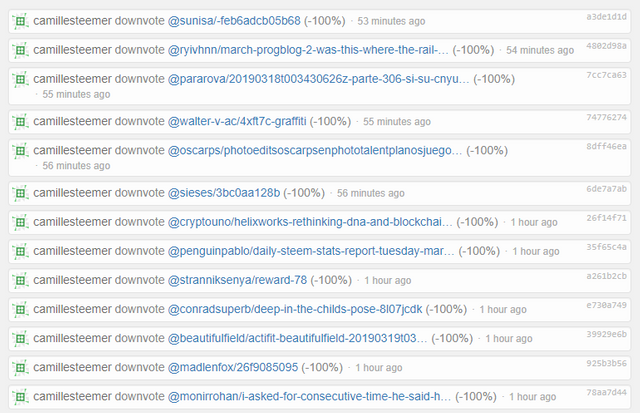 28 more accounts have now had their @steem delegation removed and I'm sure there will be more to come in future. As you can see, just by doing a quick search via eSteem Search, you can see many accounts posting the same sentences at similar times. 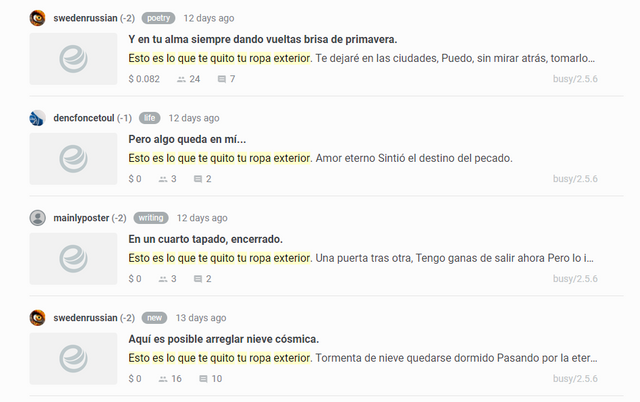 If you take a random sentence from one of the post results and search for it, you will find even more accounts also posting them, in a kind of web like pattern. Currently @camillesteemer is busy flagging every post in sight as you can see below. Which I think perfectly displays the type of people these abusers tend to be. You can read more about which accounts were added here #66. 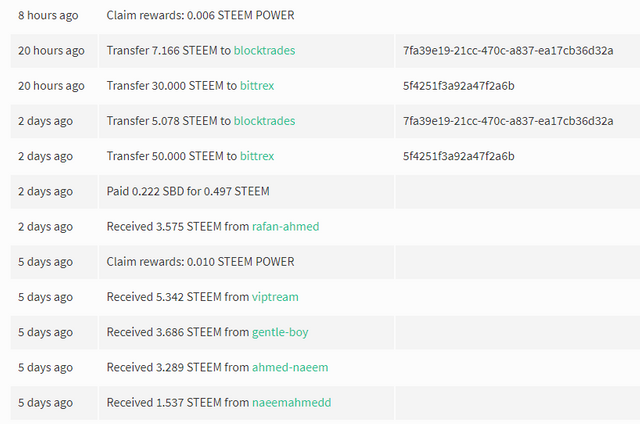 Because of the PR, Steemit Inc removed the delegation to these accounts. Thanks for the update. Reassuring to know work is still being done to dismantle these faucet networks. Also, appreciate the share of the eSteem search app. I was doing some fiddling and it doesn't seem to be able to locate items based on same the image url in the body like this one which I noticed was recurring on the @swedenrussia account. Yeah, it doesn't work very well with URLs. I just use it for broad match and exact match (using double quotes) searches of words/sentences which it works pretty well for. Looks like a lot of work, too me, @pjau, but worthwhile, and I'm glad that they're all getting their delegations retracted. That seems to be the singlemost effective stick. While flags could pummel them into submission, they can still act and self/cross upvote on their grayed out comments, right? But taking away the delegation renders them essentially inert, depending on how much SP they managed to accumulate prior. This is what I'm not getting. Why do we still have any of these accounts coming in? Wasn't the whole idea of bringing velocity online (the automated way of setting up accounts, and I understood it), that it would not only speed up the process, but also help to cut down on these farming/spamming/plagiarizing alt accounts? Or is this actually cutting down, to where we're only a hundred accounts at a time rather than thousands? I don't know. This is kind of confusing to me. That seems to be the singlemost effective stick. Agreed, when they have 100-1000s of accounts with 15 SP delegated to each it really adds up over time. While flags could pummel them into submission, they can still act and self/cross upvote on their grayed out comments, right? Well @mack-bot would auto flag these accounts anyway on every new post, so they start in the negative rshares, so it would be pointless upvoting them anymore, but more often than not they will just create a new account and start voting that instead. Getting rid of the delegation effectively wipes the whole lot out. But even with no sp they could still use the account. ... but also help to cut down on these farming/spamming/plagiarizing alt accounts? 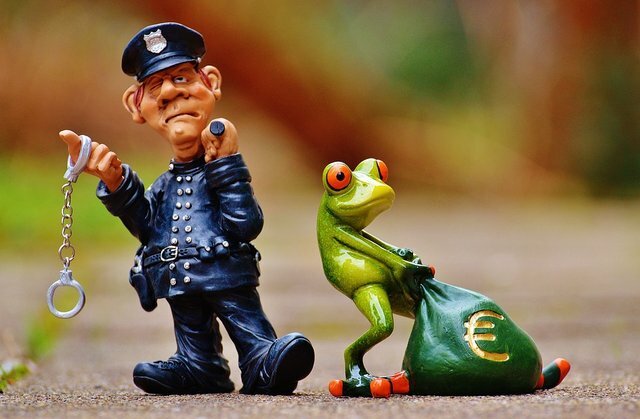 Whatever checks that Steemit have in place do not stop a single person making hundreds of accounts, this has been proven time and time again. So it definitely needs improvements. I don't think it has made any difference to be honest. Your UA account score is currently 6.082 which ranks you at #296 across all Steem accounts. Your rank has dropped 2 places in the last three days (old rank 294). In our last Algorithmic Curation Round, consisting of 434 contributions, your post is ranked at #99.